A man who witnessed a late-term abortion while working in a hospital became pro-life because of what he saw. As I said in another article, 4% of all abortions are done in hospitals rather than in outpatient facilities. I remember very vividly passing instruments to a well known abortionist on the northeast side of Atlanta as he removed pieces of a then deceased child from its mother’s womb. It was like a puzzle; the doc pieced the corpse together to be sure it was all there. He then delivered the placenta. The procedure the man is describing is a D&E, or Dilation and Evacuation. It is also called a dismemberment abortion. 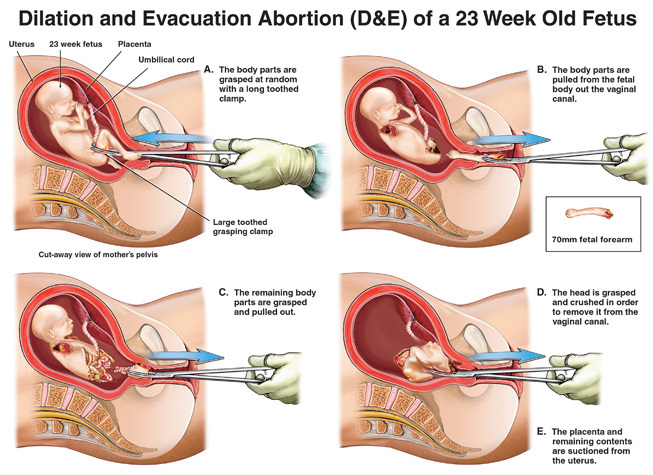 In a D&E the abortionist uses forceps to reach in and tear off pieces of the child, dismembering him or her limb by limb. Here is a diagram showing this abortion method. Piecing the body of the aborted baby together after the abortion is part of the standard procedure. Any piece left behind can cause a dangerous infection for the woman. 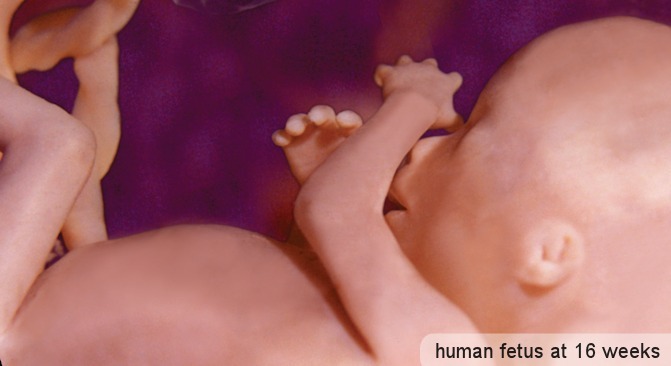 The abortionist has to carefully piece together the baby parts, identifying each piece, counting two arms, two legs, etc. Inside every abortion clinic across the country, someone is tasked to be the POC technician. Their job is to take everything suctioned out of the uterus during an abortion and reassemble the parts of the baby. We did this to ensure that the uterus was empty of all fetal parts. If something was left, it could create a potentially fatal infection for the woman. Lacking staff, the abortionist who performed the late-term abortion pieced the baby together himself. Before assisting in the abortion, the man I spoke to had no idea how brutal and violent abortion really was. After seeing what abortion is really like, he became pro-life.